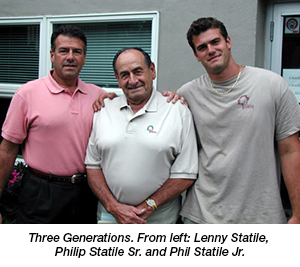 Family-owned and operated, L.P. Statile is central New Jersey’s largest wholesale nursery. With locations in Colts Neck and Springfield, New Jersey we serve over 1,800 contractors throughout the tri-state area. 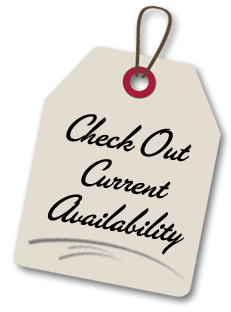 We carry a full line of plants and hardgoods and are widely known for the quality of our plant material. Our history spans nearly a century and is rich with entrepreneurship, hard work and a true love for the plants and landscape supplies. The story begins early last century when Leonardo Statile immigrated to New Jersey from Italy. He worked as a propagator for Elizabeth Nursery, then for F&F Nurseries and soon thereafter purchased the existing property on Mountain Avenue in Springfield to start his own nursery. 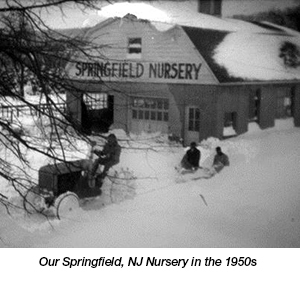 Springfield Nursery started as a propagation/production nursery, growing broadleaf evergreens and specializing in Azaleas and Hybrid Rhododendron. Leonardo’s son, Philip, not only grew up in the nursery business – he was literally born at the nursery! 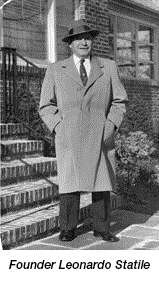 After attending Rutgers University and serving in WW2, Philip joined the business full time. Soon thereafter, Philip’s brother-in-law William Doland joined in the family business and the two continued the business after Leonardo’s death in 1956. Springfield Nursery continued to prosper with Phil and his family living on one side of the property, and Bill and his family on the other. Phil’s son, Leonard P. Statile, graduated from Rutgers University with a degree in Landscape Architecture in 1972 and after working in Westchester as a landscape architect, he saw an opportunity to develop a horticultural distribution center in Springfield. In 1974, L.P. Statile, Inc. was formed to provide landscape contractors with all their plant material needs. As Phil and Bill approached retirement age, Leonard was named President of Springfield Nursery, and upon their final retirement, acquired the assets and the company now known as L.P. Statile. Statile Nurseries, today with over 75 production acres, was formed to grow the plants that would be sold through L.P. Statile. Philip L. Statile, Leonard’s son, joined the company full time after graduating with a Business Management Degree from Seton Hall University. Philip worked in the family business through his school-age years, but after college he was encouraged to work outside the family business to gain additional work experience. Today, Philip is fully immersed in the family business, playing a large role in management, customer service and operations. As we welcome the fourth generation, L.P. Statile looks forward to continued growth by delivering the quality products and unmatched customer service that were central to our business in 1922 … and will be into the next century. Thank you for your loyalty. Philip L. Statile, born August 9th 1924. Philip not only grew up on the nursery, he was actually born at the nursery in Springfield. After attending Rutgers University and serving in World War 2, Philip ran the nursery full-time beginning in 1956. Although he “retired” in 1989, he continued to contribute until the day he died. As recently as last year, he was still driving the tractor in Colts Neck. In December of 2014, he taught us the process of how to properly administer cuttings, just the way his father taught him. L.P. Statile Inc, formerly known as Springfield Nursery, has lost a hardworking, genuine, honest man, and the world has lost an amazing human being. Those of us who have been fortunate enough to know and work with Philip have lost a dear friend and an inspiring mentor. Philip leaves behind a company that only he could have built, and his spirit will forever be the foundation of L.P. Statile Inc. We will honor his memory by dedicating ourselves to continuing the work he loved so much. L.P. Statile is a wholesale nursery serving the NJ, NY and CT area. Our 80+ acre yards in Monmouth County and Union County, New Jersey offer a large selection of plants, shrubs, trees, perennials, annuals, ornamental grasses, and landscape/garden supply hardgoods and bulk products: mulch, topsoil, fertilizers, pesticides, herbicides and tools.